The FIS Alpine Ski World Cup is the top international circuit of alpine skiing competitions, launched in 1966 by a group of ski racing friends and experts which included French journalist Serge Lang and the alpine ski team directors from France and the USA. It was soon backed by International Ski Federation president Marc Hodler during the FIS Alpine World Ski Championships 1966 at Portillo, Chile, and became an official FIS event in the spring of 1967 after the FIS Congress at Beirut, Lebanon. The first World Cup ski race was held in Berchtesgaden, West Germany, on January 5, 1967. Jean-Claude Killy of France and Nancy Greene of Canada were the overall winners for the first two seasons. 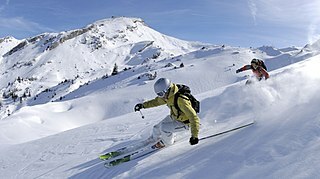 Alpine skiing, or downhill skiing, is the pastime of sliding down snow-covered slopes on skis with fixed-heel bindings, unlike other types of skiing, which use skis with free-heel bindings. Whether for recreation or sport, it is typically practised at ski resorts, which provide such services as ski lifts, artificial snow making, snow grooming, restaurants, and ski patrol. The men's slalom competition of the 2014 Winter Olympics at Sochi was held at Rosa Khutor Alpine Resort near Krasnaya Polyana, Russia, on Saturday, 22 February. Born in Zams, Tyrol,  Matt made his World Cup debut in December 1999. He claimed 15 World Cup victories: 14 in slalom and one super combined. Matt is also a two-time world champion in slalom, with titles in 2001 and 2007. With a remarkably long career as a top slalom racer, he is the second oldest (after André Myhrer, who won gold in 2018) to win an Olympic gold medal in slalom skiing (in Sochi at the 2014 Winter olympics)    and the oldest to win a (regular) World Cup slalom race. Matt also has the third longest time interval between first and last World Cup victories (13 years, 10 months, and 22 days), after Ingemar Stenmark and Didier Cuche. Zams is a municipality in the district of Landeck in the Austrian state of Tyrol. Tyrol is a federal state (Bundesland) in western Austria. It comprises the Austrian part of the historical Princely County of Tyrol. It is a constituent part of the present-day Euroregion Tyrol–South Tyrol–Trentino. The capital of Tyrol is Innsbruck. Combined is an event in alpine ski racing. A traditional combined competition consists of one run of downhill and two runs of slalom, each discipline run on separate days. The winner is the skier with the fastest aggregate time. A modified version, the super combined, is a speed race and only one run of slalom, with both portions scheduled on the same day. Ski cross is a type of skiing competition. Despite its being a timed racing event, it is often considered part of freestyle skiing because it incorporates terrain features traditionally found in freestyle. Ski cross courses have both naturally occurring terrain and artificial features including big-air jumps and high-banked turns. What sets ski cross apart from other alpine skiing disciplines is that there's more than one skier racing down the course. Any intentional contact with other competitors leads to disqualification. Andreas Matt is an Austrian retired freestyle skier who specialised in the skicross discipline. He is the brother of alpine skiers Mario Matt and Michael Matt. Michael Matt is an Austrian World Cup alpine ski racer. He specialises in the Slalom discipline and has competed in three World Championships. Kjetil André Aamodt is a former World Cup alpine ski racer from Norway, a champion in the Olympics, World Championships, and World Cup. He is the most decorated ski racer from Norway. Benjamin Raich is a retired champion World Cup alpine ski racer and Olympic gold medalist from Austria. With 14 medals won at Winter Olympics and World Championships, 36 World Cup race victories, one first place and five second places in the World Cup overall ranking, three victories of the slalom World Cup, three victories of the combined World Cup, two victories of the giant slalom World Cup and the highest score of career World Cup points, he is considered among the best alpine racers in World Cup history. Theodore Sharp Ligety is an American alpine ski racer, a two-time Olympic gold medalist, and an entrepreneur, having cofounded Shred Optics. Ligety won the combined event at the 2006 Olympics in Turin and the giant slalom race at the 2014 Olympics in Sochi. He is also a five-time World Cup champion in giant slalom. 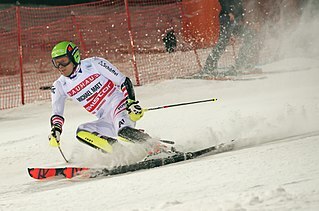 Ligety won the gold medal in the giant slalom at the 2011 World Championships. He successfully defended his world title in giant slalom in 2013 in Schladming, Austria, where he also won an unexpected gold medal in the super-G and a third gold medal in the super combined. Through October, 2015, he has 25 victories and 52 podiums in World Cup competition. Nicole Hosp is a former World Cup alpine ski racer from Austria. She competed in all five disciplines and was a world champion, three-time Olympic medalist, and an overall World Cup champion. Kathrin Zettel is an Austrian retired World Cup alpine ski racer. She won many races and took a bronze medal in the 2014 Winter Olympics in Sochi. Maria Höfl-Riesch is a former German World Cup alpine ski racer. She is a three-time Olympic champion, two-time world champion, and an overall World Cup champion. Jean-Baptiste Grange is a French World Cup alpine ski racer. He competes only in slalom. In the past, he had also competed in giant slalom and combined, like his teammate Julien Lizeroux. Elisabeth Görgl is a retired World Cup alpine ski racer from Austria. Manuela Mölgg is a retired alpine ski racer from Italy, a specialist in the technical events of slalom and giant slalom. Christof Innerhofer is an Italian World Cup alpine ski racer, the 2011 world champion in super-G. He competes in all five alpine disciplines and specializes in the speed events of downhill and super-G.
Will Brandenburg is a World Cup alpine ski racer on the U.S. Ski Team and specializes in slalom. Marie-Michèle Gagnon is a World Cup alpine ski racer from Canada. Born in Lac-Etchemin, Quebec, she competes in four alpine disciplines, specialising in the technical events of slalom and giant slalom. Gauthier de Tessières is a World Cup alpine ski racer from France, and has competed in two Winter Olympics and five World Championships. He made his breakthrough on the Alpine Skiing World Cup in a giant slalom in Val-d'Isère in December 2008, where after finishing 30th in the first run to narrowly qualify for the second run, he worked his way up to finish third overall, bettering his previous World Cup personal best of 15th. He won the silver medal in the super-G at the 2013 World Championships, after being added to the French team as an injury replacement. De Tessières announced his retirement from competition in January 2014 after he was not selected for the 2014 Winter Olympics. Mikaela Pauline Shiffrin is an American two-time Olympic gold medalist and World Cup alpine skier. She is the current three-time reigning Overall World Cup champion, the four-time reigning world champion in slalom, and a six-time winner of the World Cup discipline title in that event. Shiffrin is the youngest slalom champion in Olympic alpine skiing history, at 18 years and 345 days. The 48th World Cup season began on 26 October 2013, in Sölden, Austria, and concluded on 16 March 2014 at the World Cup finals in Lenzerheide, Switzerland. The defending overall champions from the 2013 season were Marcel Hirscher of Austria and Tina Maze of Slovenia. The overall titles were won by Hirscher and Anna Fenninger, also of Austria. The season was interrupted by the 2014 Winter Olympics that took place from 7 to 23 February in Sochi, Russia, with the alpine events at Rosa Khutor. Henrik Kristoffersen is a Norwegian World Cup alpine ski racer, 2019 World Champion and Olympic medalist. Ramon Zenhäusern is a Swiss World Cup alpine ski racer and specializes in slalom. He made his World Cup debut in November 2012, and competed at the 2014 Winter Olympics in Sochi, in slalom. At the Olympics in 2018, Zenhäusern took silver in the slalom and gold in the team event. At his third World Championships in 2019, he was fifth in the slalom and won gold in the team event. Alice Robinson is a New Zealand alpine ski racer. At age 16, she competed in the women's giant slalom at the 2018 Winter Olympics. 1 2 Etchells, Tim (22 February 2014). "Mario Matt holds on for gold, as Ligety blasts course". Ski Racing. Retrieved 22 February 2014. 1 2 Pennington, Bill (22 February 2014). "Slalom champion sets an age record". New York Times. Retrieved 25 February 2014. 1 2 Moore, David Leon (22 February 2014). "After fast start, Ted Ligety falls short in slalom". USA Today. Retrieved 25 February 2014. ↑ Arcobelli, Sergio (23 February 2018). "Cose da Matt, Micheal è di bronzo". ilgiornale.it (in Italian). Retrieved 1 March 2018. ↑ McKee, Hank (15 December 2013). "Matt becomes oldest man to win World Cup slalom". Ski Racing. Retrieved 22 February 2014. ↑ "Mario Matt bids farewell". www.skionline.ch. 12 March 2015. Retrieved 12 March 2015. ↑ "Die Schachzüge der Matt-Brüder" [The maneuvers of the Matt brothers]. nachrichten.at (in German). 14 February 2015. Retrieved 14 March 2015. Wikimedia Commons has media related to Mario Matt .